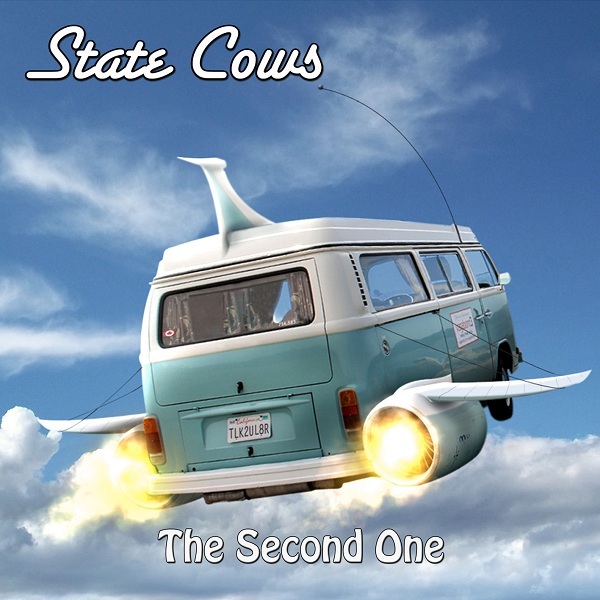 When Daniel Andersson and Stefan Olofsson released the self titled State Cows' debut album (Avenue 1008 0016) in 2010, the feedback from the fans and the media alike was nothing short of phenomenal. The reviewers wrote, “Westcoast music at its best“, “a future classic among Westcoast fans”, “by far the best release in the Westcoast genre in recent years”, “an absolute must for anyone who is seeking a contemporary Westcoast outfit”, “they totally nailed the classic Westcoast sound but they have a unique style all their own”. And one of the true icons of the genre, Jay Graydon, who contributed a guitar solo to the song “New York Town”, said: “These guys have surely taken West Coast Pop to another level adding the freshness of youth. Great songs, arrangements and performances!“ Accolades galore, raising the expectations for the follow-up to a very high level and with their sophomore album aptly titled “The Second One” the Swedes have definitely managed to live up to their reputation as one of the best Westcoast bands since the glory days of the genre ended almost 30 years ago. For the recordings of “The Second One”, Daniel and Stefan invited most of the musicians who already conduced to the success of the first album again. Jay Graydon returns for a guitar solo on upbeat “In The City”, but he is not the only one of the former L.A. session cats who makes an appearance, Michael Landau plays the guitar solo on “This Time” and you can listen to Bill Champlin's vocals on “Finally Fair and Balanced” with the typical arrangement you expect when you hear Bill's voice. Ian Bairnson of Alan Parsons Project / Keats fame played a guitar solo on “I Got Myself Together”, while the local Swedish guitar talents, Peter Friestedt and Sven Larsson paid a courtesy visit for a guitar solo on “Mister White” and “Hard Goodbye” respectively. “The Second One” with its stellar song writing, the perfect arrangements, the great harmony vocals and the impressive list of guest musicians is the perfect addition to the CD collection of everyone looking for the classic Westcoast sound along the lines of Airplay, Pages, Steely Dan, Marc Jordan, Michael McDonald, David Roberts, Toto and Chicago. All songs written, produced and arranged by Stefan Olofsson and Daniel Andersson. Recorded at White Cherry Hill Studios. Mixed by Stefan Olofsson. Mastered by Stefan Olofsson. Horn arrangement on “In the City” by Per Bejstam. Flugelhorn solo on “Mister White” arranged by Hans Hjortek. State Cows are: Daniel Andersson: vocals, guitars; Stefan Olofsson: keyboards, synth bass. Guest musicians: Bill Champlin: vocals on “Finally Fair and Balanced”; Michael Landau: guitar solo on “This Time”; Jay Graydon: guitar solo on “In The City”; Peter Friestedt: guitar solo on “Mister White”; Sven Larsson: guitar solo on “Hard Goodbye”; Ian Bairnson: guitar solo on “I Got Myself Together”; Peter Holmqvist: guitar solo on “Scofflaws”; Göran Turborn: guitar solo on “California Gold”; Samuel Muntlin: EWI solo on “Nineteen Eighty-One”; Pär Wretling: flugelhorn solo on “Mister White”, flugelhorn on “California Gold”; Per Bejstam: trumpets, flugelhorn on “In The City”; Peter Olofsson: drums; Lars-Erik Dahle: bass; Mikael Emsing: percussion; Marcuz Granberg, Christian Thomsen: backing vocals. WebLinks: www.statecows.com / www.facebook.com/statecows.